But we’ve decided to give it a go the other way: recording each part individually and letting our MD Michael play with it until it is something very different indeed. More on that soon, but it was after one of these sessions that a few of us treated ourselves to a pub lunch. They must have recognised us, as shortly after finishing our meals (but, frustratingly, before we had finished the jug of Pimm’s), they laid on a fire alarm and oodles of smoke, presumably just for us. 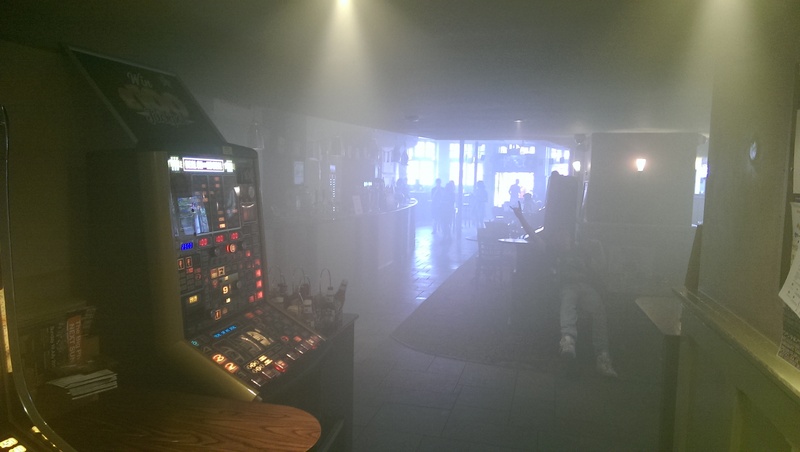 We’re assured it wasn’t actually a fire – somebody accidentally hit the alarm – but we never got an explanation as to where else the smoke might have come from. 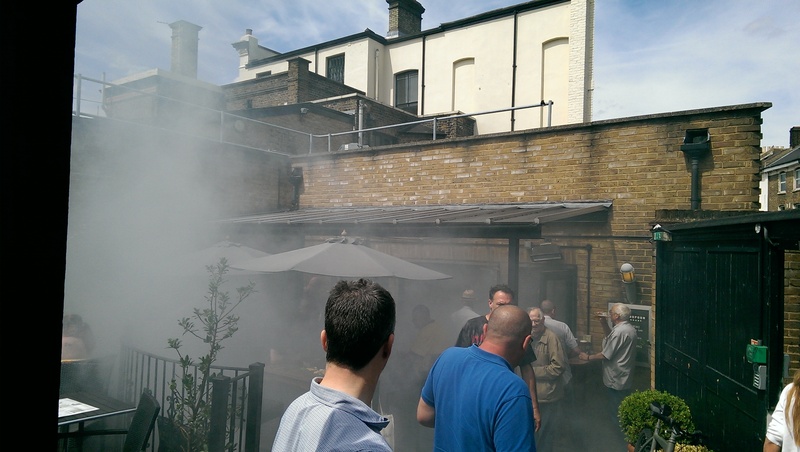 Anyway, it was In the Smoke (in the pub) in the smoke, which we agreed was worthy of a blog. Here’s a trailer for our 31 July Summer Extravaganza – be there or… no, just be there. VIDEO: Come and join us at the Brighton Fringe! On a rainy day in Birmingham we were thrilled to win the Voice Festival Community Competition – and what better way to celebrate than to bring our competition set and many more aca-classics to the sunny seaside for the Brighton Fringe. We’ll be at the Old Courtroom on Saturday 9 May at 5.30pm and Sunday 10 May at 3pm. Tickets can be booked in advance here. Check out the video for what to expect, and get yourself out from under the boardwalk and into the front row for our two gigs!